This Webinar will present an introduction to the problems confronting the writer who seeks to adapt a novel into a screenplay. Some of the elements of good screenwriting will be explored as well as an overview of today’s screenwriting marketplace. Finally, recommended resources to assist the writer in adapting her novel into a viable screenplay will be presented. 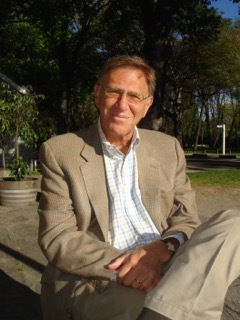 Educated at Williams College and Yale University Law School, Mr. Lazarus practiced Intellectual Property law in New York City before turning to Business Affairs at a prominent talent agency. He became a Motion Picture agent selling Woody Allen’s first film, Take the Money and Run. He moved into studio work heading production at four Hollywood studios and producing six major films including WESTWORLD and CAPRICORN ONE. He is Professor Emeritus from the University of Miami where he chaired the Motion Picture Department specializing in Screenwriting and Producing. He is the author of numerous fiction and nonfiction books as well as numerous screenplays. He is a former Film Commissioner for the state of New Mexico and a fulltime resident of Santa Fe.